Everyday a group of students make their way to the back of the High School, change into into their work clothes and begin their work day at their Garage. These are the students that make up Auto Tech I and Auto Tech II. Their boss is also their teacher, Mr. Doug Johnston, and their 'class assignments' are the work they do for their clients. Their clients consist exclusively of the Huntsville Independent School District family, and Mr. Johnston only chargers for labor (clients provide the parts). After almost half a life spent in the auto repair industry, Mr. Johnston came back to Huntsville High School to share his passion for the work and love of teaching. 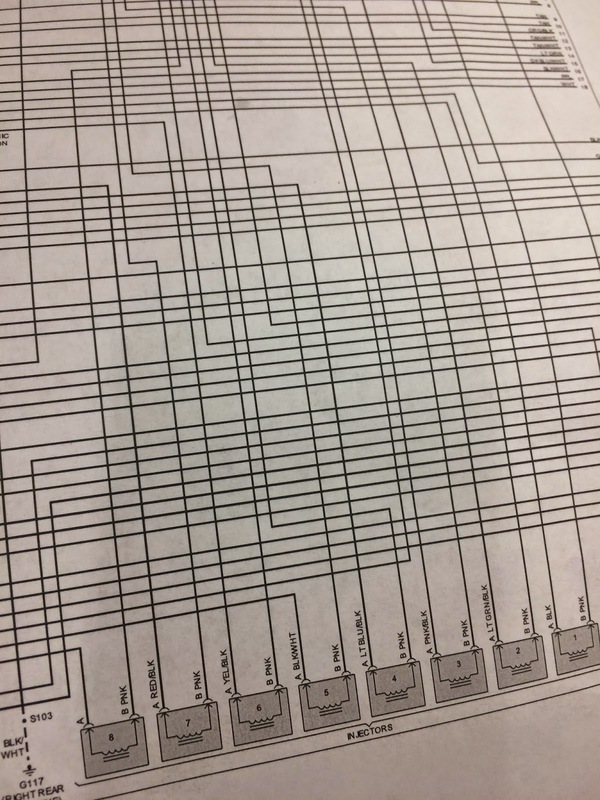 Do you understand this wiring diagram? Nah, me neither. Mr. Johnston is in his second year here teaching the Auto Tech program, and he took over for longtime teacher Mr Larry Goines. Mr. Johnston himself was a student of Mr. Goines here at the high school. Clients provide the oil and filter, students provide the oil change. He minored in electronics in college, and it comes in handy with the investigative side of mechanics that make up so much of the work. There's always a need for electrical diagnostics, and it's a specialty of Mr. Johnston that he can share with these student auto techs. Mr. Johnston demonstrates the operation on the simulator. First students master operation on the simulator (computer system). 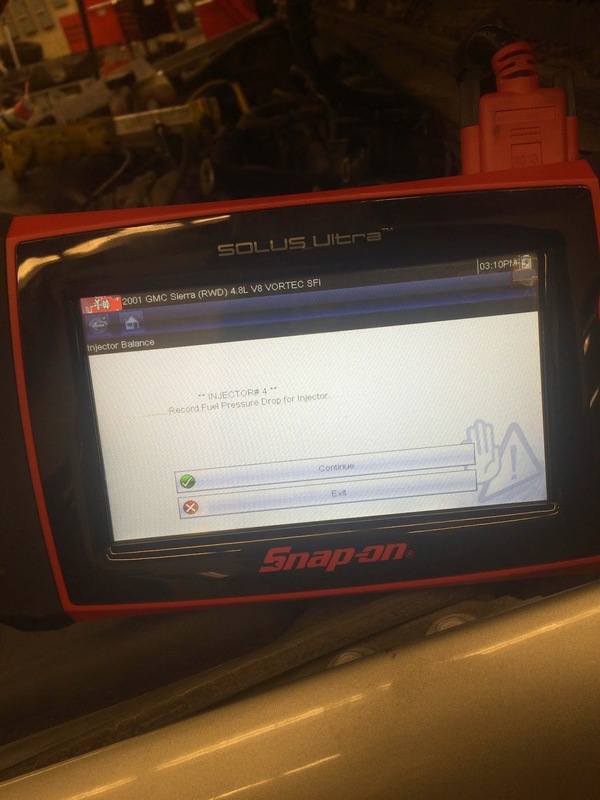 The program has been able to purchase a few large and powerful pieces of equipment recently, one of which is the Hunter Hawkeye Elite Laser Alignment System, the other the Snap On Solus iScanner. These are leading edge technology that have replaced some well loved, very well used and now very out of date equipment. Once comfortable on the simulator, students can move on to the "real deal." Here, Auto Tech II student Nelson steps up to the machine. are strapped on the wheel to receive the laser. The lasers are reflected in these pieces attached to each wheel. Once these are lined up, then you know that you have that correct alignment. The Auto Tech program is under Career and Technology Education (CTE), and CTE Director Mr. David Rosser and Mr. Johnston would not have been able to make these purchases without the deeply discounted rates that both Hunter Engineering Company and Snap On Tools provided. We appreciate their support, as well as the superior prices and service that Jerry Larrison provides Auto Tech with his Reliable Parts, Co. Thank you! Jonatan keeps hold of the oil drain plug while the old oil drains out of the crank case. One more thing before you go: A student fills out a "next oil change" sticker for the client's windshield. read live data, aid in trouble shooting and allows operators to do functional testing. This is an oscilloscope reading of an injector wave form. Checking out the under carriage. Huntsville High School Auto Tech is open for business- Go see them!